This new year edition features a comprehensive performance report on St. James’s Place and their funds - and we also look at the costs they levy on clients who wish to move elsewhere. We review the performance of Hargreaves Lansdown’s favourite funds in their new Wealth 50 funds list. 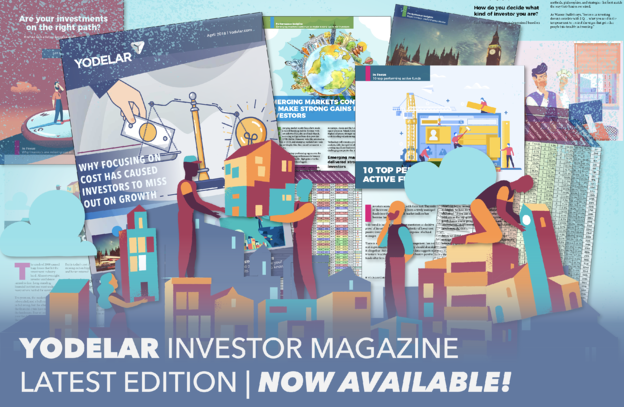 Also featured are fund performance reviews for Artemis, Hargreaves Lansdown and Miton Asset Management, as well as the latest top performing model portfolios and best fund reports. With upfront charges of 5% on their range of unit trust and OEIC funds, 6% on their pension products, and ongoing costs that can reach 2.5%, St. James’s Place is one of the most expensive wealth management firms in the UK. But as 79% of their unit trust funds and 61% of their pension funds performed worse than at least half of their peers over the past five years, are they worth the high price? In this report, we provide an updated analysis on the 1, 3 & 5-year performance and sector ranking for 154 SJP funds from their range of unit trust, pension, life and offshore funds, and we look at how each of their 9-unit trust portfolios have fared over the same period. St. James’s Place has continually faced questions over their advice, product and service charges, with high upfront fees taking away large chunks of an investment that in some cases takes several years to recoup. But it is their exit penalties that lay in wait for those who wish to move their money out of SJP pension or bond products that are the most contentious. It isn’t just their exit fees that can prove costly to those who wish to move away from SJP products. SJPs restrictive policies can mean those with a Trust administered by SJP, are unable to leave this trust without incurring a taxable event that could cost the beneficiary as much as 40% of the value of the assets in their trust. What implications do these exit charges have for our investments and why can moving a trust out of SJP products cause a fallout that can have significant financial consequences? But how have their funds performed and how do they compare to their rivals? In this report, we identify how 7 of their 10 funds performed below the sector average for the past 12 months and from their 4 funds with 5-year history 2 returned growth that was worse than at least 50% of their peers. Independently owned, Artemis is a relatively small wealth management firm in comparison to some of their competitors. Despite their size, their wealth management approach has earned them multiple awards and gained them widespread recognition throughout the industry and with investors. Like most wealth management firms, 2018 hit Artemis hard. Many sectors averaged heavy losses and with uncertainty as to when the markets would improve a proportion of investors chose to move their investments into cash. As a consequence, Artemis’ total funds under management reduced from £27 billion in May 2018 to £21.3 billion in January 2019. We analysed 26 Artemis funds for performance and sector ranking over the past 1, 3 & 5 year period up to 1st January 2018. This analysis shows a sizeable drop off in performance from a large proportion of their funds, and it also highlights the Artemis funds that have continued to excel.